Mobile network operators KPN and Vodafone have signed a cooperation agreement with bankers ABN Amro, ING and Rabobank — but T-Mobile has pulled out of the ‘Sixpack’ partnership and will follow its own route to market. Vodafone, KPN, Rabobank, ABN Amro and ING have signed a cooperation agreement to jointly introduce mobile payments at the checkout in the Netherlands. The move follows the signing of a letter of intent between the five banks and mobile network operators, along with Deutsche Telekom-owned T-Mobile, in September last year. The partners in the new consortium will now take the initiative to the European Commission in Brussels for approval and say they expect Dutch consumers to be able to begin making payments with their mobile phones in early 2013. 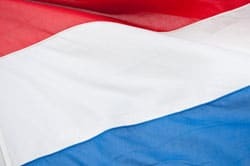 Eventually, it will be possible for all Dutch banks, mobile operators and other companies to offer NFC services by connecting to the partners’ TSM, the group explains. “In view of the competitive aspects of collaboration between the biggest banks and mobile operators, the consortium informed the Dutch competition authority (NMa) of the initiative in an early stage.